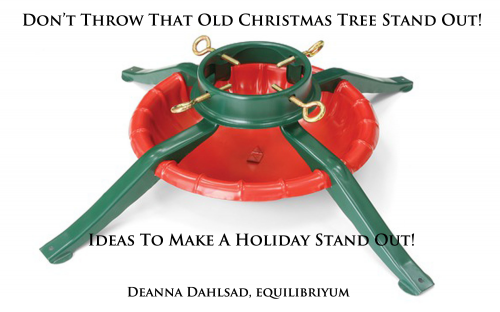 I’ve been busy writing a lot of eBay Guides — my most recent one was inspired by this vintage Christmas tree stand my folks have for sale. I just knew it should be reborn and repurposed as a decorative piece! Other cool ideas and inspiration in that post comes from Laurel of Chipping With Charm. Her site is a real treat to visit!